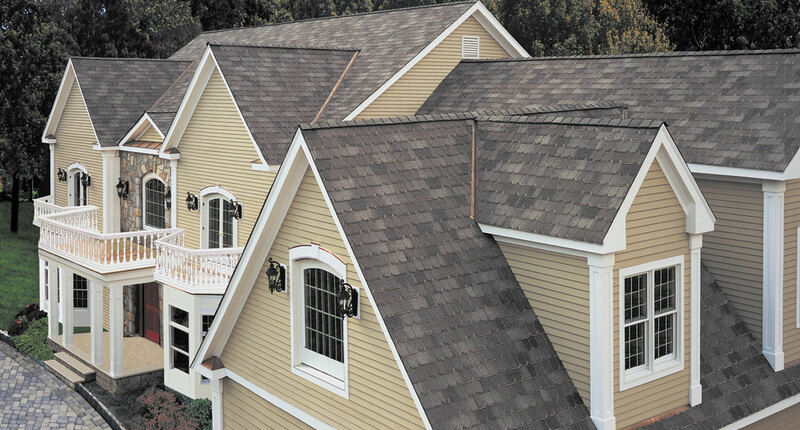 Roofing Pro NJ promises hard work, ambition, safety and honesty in order to maintain a superior presence in New Jersey among architects, engineering companies, condominium associations, management companies, commercial property managers and residential property owners. We are very committed and take pride of what we do every day for our costumers. THEY WERE ON TIME AND RETURNED MY CALLS WHEN I CALLED. THE PRICE WAS GREAT. THEY GAVE ME THE BEST ESTIMATE. THEY CLEAN UP AFTER THEMSELVES AND DIDN'T LEAVE A MESS. THEY TOOK CARE OF THE TRASH. THEY WERE REALLY GOOD AND CAME WHEN THEY SAID THEY WOULD. THEY ALSO WORKED VERY QUICKLY AND CLEANED UP WELL. I HAD NO PROBLEMS WITH THEM AT ALL. THE PRICE WAS ALSO REASONABLE. All Professional Roofing returned our call and came out when they said they would. Mike was running late, but he did call to let us know he was on his way, something we very much appreciated. He was very nice and seemed very knowledgeable. He recommended that the whole roof be replaced, and as it was nearly 20 years old, we were not surprised, and agreed that it would be a good idea. We set up a date and they came out promptly and began work. The workers were very nice and worked really hard and long days. They did a good job of cleaning up too. The only negative thing I would say, is that in maneuvering their large truck onto our small driveway, I think they bumped into our dogwood tree and broke off a rather large branch. But we are very happy with the roofing work and it rained today and there was no leaking! I don't really know if the price was reasonable as we did not shop around. Our roof has a steep pitch and lots of angles so it was not an easy job. Mike, the owner of All Professional, showed up promptly for our appointment - extremely knowledgeable and professional. We talked about what my wife and I wanted to do around the house. We wanted to do the roof, vinyl siding, gutters, windows, and our basement - because we had some water damage in the basement. We didn't think that we could afford to do all of the work at once. Mike went over several options for us and found a way that we could afford to do all of the work that we wanted! We had gotten 4 other estimates from other contractors, and had many questions before committing to one of them. Every time that we called All Professional - Mike either answered the phone, or returned our call within an hour or so. When it was time for the work to begin - Mike and his crew were on-time and continued to be on-time every day. What really impressed us was that each and every day before Mike and his workers left - the house was immaculate. The attention to detail and craftsmanship was so impressive. They also finished the job 3 days ahead of schedule. I knew nothing about getting a roof system. Well after meeting with several roofing companies, I meet Mike. I intailly got his proposal and it was a little higher then the other companies that bid it out. When I confronted him with the differences, Mike asked me to return to the other contractors and ask a few simple question. i e: are gutters included, what kind of response time in case of emergency and a few other key questions. Needless to say I called Mike Back we signed the contract. Scheduled the start date. One week later they arrived at my house as promised. They give a new Meaning to ALL PROFESSIONAL. My prior roof system was taken off new roof system put on. The team of employees that were there was like a fine tuned instrument of art. It was so well organized I was so amazed at the speed and accuracy of workmanship. They were done by the end of the day, following day the gutters where installed. I now have a roof that doesn't leak on me when I'm cooking in the kitchen on raining days MIKE THANK YOU for everything. Thank you for the excellent job that you and your company did installing my new roof, siding and windows. I were very impressed with the professionalism displayed by yourself and every person who worked on my home. I want to commend you for taking on the challenges of my project with an open mind and a willingness to try new materials and methods like the Hardie Board and Batten installation. I felt very comfortable throughout the whole process as you made yourself available any time I had a question. You were willing to listen to my ideas and comments and then offer you advice base on your construction experience. The finished product displays quality craftsmanship and an attention to detail that is a joy to behold. I will enthusiastically recommend the All Professional Remodeling Group team,and I fully expect to be working with you again when the time comes to tackle the big project on my house. You men seemed proud of their craft and results!! Thanks. I was quite happy with their work, they are courtesy respectful, prompt. They were diligent in their work. The work was done very professionally. They cleaned up after themselves. They came in a very timely manner. There was an extensive amount of work to be done on this porch. The house is 115 years old, and the porch was at least half that age. No aspect of the porch was in compliance with building codes. To obtain a permit to have the work done, an architectural drawing had to be submitted to the township buildings department. All Professional hired the architect and submitted all the proper paperwork. Extensive masonry work was also needed, as a room was located under the porch that had to be filled in order to support the new foundations that were put in place. All Professional hired the mason and arranged for all the additional work to be completed. This included rebuilding the foundation for the steps to the porch, and building the steps themselves. In each step of the way, Mike, from All Professional, worked with me so that I understood what needed to be done . He thoroughly explained the work necessary, and was very professional in all matters. He helped me in submitting applications for financing for the project, and kept me informed as to timelines and deliveries of materials. As the state of the porch was in such disrepair, the finished product is both amazing and beautiful. I am thoroughly pleased with the work the All Professional Remodeling Group has done. I highly recommend All Professional Remodeling Group. Their name - ALL PROFESSIONAL, says it all! Mike is the owner. He is onsite and working with his great crews. He has an outstanding roofing, siding, and gutters crew. We hired Mike to install a new roof and new siding on our home in Bergen County. After 8 quotes and interviews, I was fortunate enough to find Mike via Angie's List. Right away, Mike impressed me with his professionalism, straight talk, and knowledge - this is the guy. He made excellent recommendations to me and explained the whys and why nots of the job. 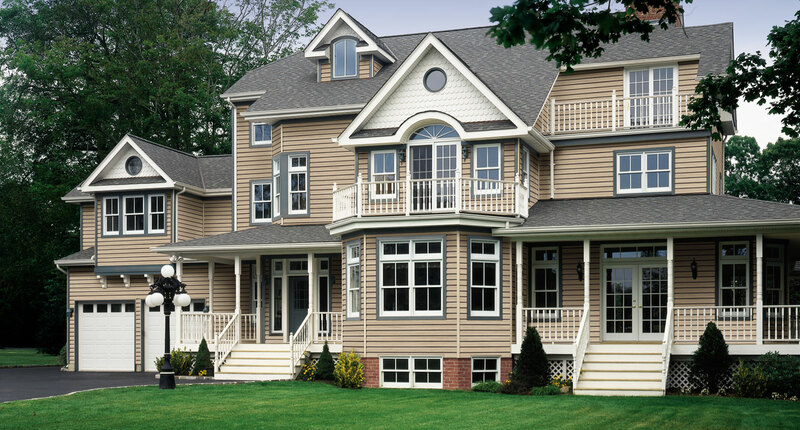 The best thing about hiring All Professional Remodeling Group is that you can TRUST Mike. He does what he says he is going to do and when he is going to do it - he communicates ...excellent responsiveness the entire time (emails to Mike via angie's list web site is great tool!). His crews are courteous, clean, very hard working, and they did an excellent job at installing our roofing, siding, gutters. They kept our property clean and safe. They showed up on time. They are professional. The second best thing is the quality of the work - ALL PROFESSIONAL EXCEEDED OUR EXPECTATIONS. Our home looks great - all my neighbors complimented us on the new look and great job by the contractor, All Professional Remodeling Group, that they provided for us. Mike's crew looks after the small details that make a difference - the siding is installed very tight with great trim...the GAF roofing system is perfect, especially around the chimney. I joined Angie's List because I wanted a resource to find the best contractor that I could trust and who would do a great job... Angies List provided that resource and Mike at All Professional provided the great job! I recommend that you; Call and Hire MIKE at ALL PROFESSIONAL REMODELING GROUP - for roofing, siding, gutters, and remodeling... I give them 10 stars! Mike gave us an estimate, which was higher than others, but he took his time and showed us samples of the materials he was going to use, pros and cons of using different quality materials, gave us references and also the warranty details. Mike and his crew were very professional. I can say that he probably worked harder than his crew and never left the site until the job was completed. At the end of the day, they cleaned the area (you could not even find a loose nail around the house). The job was completed on time as promised. Passed the town and GAF inspection without any problems. Due to the bad winter we had, I had damage caused by an ice dam, as well as a leaky skylight. MIke evaluated the situation and made made the necessary repairs. One of my issues was that skylight that leaked after heavy rains. Mike returned a second time to put a second coat of sealant on the skylight when it continued to leak after the initial work was done. Mike was very professional, accompanied his crew when they came to do the work, and took the time to answer all my questions. Originally we were just supposed to get a new roof; but when the tear off was complete extensive rotting was discovered both on the roof base itself and walls of the dormers. Both dormers had almost completely rotted along their bases and sides. Fortunately Mr. Michalski and his crew had the expertise to fix all damage encountered. The work was done efficiently and expeditiously. They didn't stop working from the moment they began at 8:00 AM until quitting time--barely breaking for lunch. They had the job--including all of the unexpected issues--completed in 2 days. I doubt that there are many other contractors who would have been as conscientious and concerned about fixing the unexpected problems. It would have been so much easier to just patch it up. But they treated our home as if it were their own--they probably saved us from a future catastrophe. I think one more bad winter and the dormers would have collapsed. They are professional and courteous, and a fine group of craftsmen. The gutters and leaders were installed the next day--and they were completed just as efficiently. Mr. Michalski is available, responsive and informative. He is true to his word. We highly recommend him and his excellent crew. Purchased a home which had a 40 year old roof which had been recovered with a layer of shingles that were not properly installed. All work was completed in one and half days (one day for the roof tear-off, repair and replacement) and a half day for the gutter replacement). Work was perfomed very professionally and of high quality. Not the lowest cost roofing system but feel we have a roof that will withstand all the elements for many years to come. Was impressed with their concern about protecting the surrounding area around the house and with the cleanup of all the debris. Would recommend them without reservation. Mike arrived with a crew and went straight to work inspecting my 5 year old roof. I knew of one area that needed repair, he pointed out two others, and took care of everything in less than an hour. Mike and his team arrived about 8AM. They had to go through the house to access the section of the roof they would be working on. They covered the hardwood floors and furniture beneath the skylytes. Mike pointed out every damaged area before proceedig with repairs. All debris was carefully removed and carted away. At the end of the job Mike personally vacumed the floor, stating , " It's my dust and I'll clean it up". He and his team were truly Professionals , courteous and easy to talk with. They completed the job in a day and a half. I recommend them without hesitation. I tried several contractors who did not return phone calls, did not show up for estimates or did not submit estimates after surveying the property. Mike is a knowledgeable professional who is very reliable. He does not waste time or words - when you need the work done he is ready to go and will give you the "straight" answer on what the issues are. He is well versed in options for materials and techniques to achieve the desired result. I also appreciate that he is confident and open to suggestions. He will also consult other professionals to gain insights on questions. Mike wants the best job for your budget. He understands and will suggest where to "invest" and where the most costly solution may not be necessary. I am very pleased with the project, quality of work, reliability, and integrity of All Professional. I have recommended Mike several times and would hire them again. This went great. They showed up early they finished sooner than expected. They definitely lived up to the name . Very Professional! The owner Mike is very professional and made sure we got the roof we needed. His workers did an amazing job and did a great job cleaning up once the work was completed! Dealt with Mike directly. He was by far the best contractors I’ve ever used before. I had a few other estimates which didn’t seem to fit my budget but then Mike gave me the best price out of all the other contractors. He was the most knowledgeable out of the others as well! Another plus is that he owns his own dump truck so I didn’t have to worry about my driveway being damaged too! We had everything done: the roof, the siding, the windows, and the gutters too and there was not even one nail left once the work was done. All Professional Remodeling Group was our dream contractor and we definitely recommend them to anyone looking for a contractor! Professional, responsive, great work and cleanup. The roof, gutters and repairs were completed in one day. I have great peace of mind knowing the roof will not leak this winter. Painted rooms look amazing. Job took just under five days. Walls look like new, the apartment looks great. Mike was one of the most professional individuals I have dealt with. From beginning to end everything ran smoothly and I was kept abreast and educated on the work that was being done. I highly recommend this company.